You’re here for the cliff dwellings and to ascend to the kiva at Alcove House, 140 feet above Frijoles Canyon in bluffs of volcanic tuff. 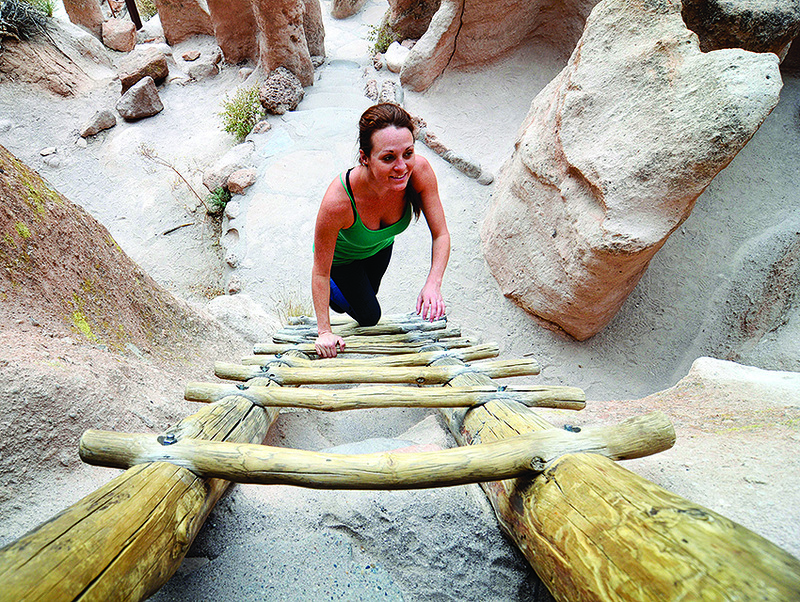 But Bandelier National Monument, 44 miles from Santa Fe, preserves the natural world of its onetime inhabitants, not only their buildings. The 34,000-acre monument rises from the high desert to above 10,000 feet, with trails that explore ponderosa forests where bugling elk roam. Where to Get Your Fix of Hatch Chiles Right Now in L.A.